If you're not being remarkable, nobody cares about what you have to offer. Josh wrote earlier this month about how “very little grabs our attention” these days and he’s right. Gone are the days of being able to churn something out and bring in the cash; you need to be different, your products and marketing need to be remarkable. Unless you can provide your customers or target audience with something different, you’re going to be stuck competing on price with your competitors – and there’s no money to be found in low profit margins, especially if you are a small to medium sized business. Being remarkable is less about getting attention than it is about the simplicity and framing of a story. What are some examples of remarkable marketing campaigns? One remarkable campaign that is taking the world (or at least the US) by storm right now is the Snapchat Spectacles campaign. Never heard of Snapchat Spectacles? That’s OK, because Snapchat know exactly who their market is; and if you’re not a Millennial, you’re not it. This is where their campaign has succeeded so incredibly well though! 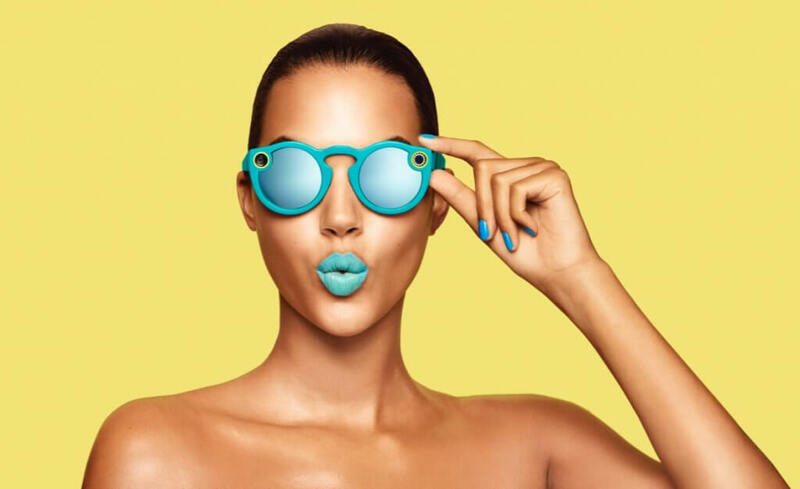 A bit of background: The Snapchat Spectacles are a pair of sunglasses that double as a camera. They allow you to capture up to 20s of video at a time and share it directly to your Snapchat account. Not sure what a Snapchat account it? Here’s a great explanation. What’s so remarkable about the Snapchat Spectacles? Honestly, not a lot! And that’s what makes the product itself so remarkable. Their success comes off the back of the absolute dismal failure of the Google Glass. Google Glass didn’t fail because of the technology, it was because there was no clear reason who or why you would want a pair. Google failed to identify a pain point in their target market so the Google Glass was destined to fail from the very start. Snapchat Spectacles are not a new technology, they’re not even the most advanced technology, however, they do one job (record videos easily) and they do it very well. To most people, it may not seem as though they are solving a problem, but the Millennial generation feel the need to share what’s happening in their life as quickly and efficiently as possible – God forbid their friends should miss a minute of that concert they’re at or their artfully prepared cafe meal. The Snapchat Spectacles don’t solve a life threatening problem, the CEO himself has repeatedly used the words “fun” and “toy” to describe the product to The Wall Street Journal; but they are an extension of the Snapchat culture, in turn making the wearer feel as though they are part of a secret club. Snapchat is not aiming to sell their products to the vast majority of Snapchat users, but the “innovators” the people who who need to have the latest technology. Creating a remarkable product isn’t about being the most talked about thing out there – anyone can pull off a stunt and get attention, but attention doesn’t necessarily convert to sales. A remarkable product is something that a small group of avid followers absolutely rave about and have to have. Snapchat has achieved this in a very public way with their marketing campaign. What’s so remarkable about Snapchat’s latest marketing campaign? If you’re looking to buy a pair of Snapchat Spectacles, you’re almost out of luck. There is only a limited number, they’re not available in shops, there is no online store, they aren’t sending any out to reviewers and yet, they’re selling out faster than a frog in a sock. So how do you actually get your hands on a pair? Yep… Clearly, Snapchat is not reinventing the wheel here – but they are re-imagining it oh-so-well. These vending machines pop up in various locations, (the list of which is well guarded) for just a day at a time. With hundreds of avid Snapchat fans lining up for hours for a chance to get their hands on a pair of these $129 sunnies, they don’t last long. Yes, that is a line of people waiting to buy a pair of Snapchat Spectacles! By targeting the “innovators”in their audience, Snapchat has created an army of unpaid advertisers who are shouting to the rooftops about their products. The resale of the Spectacles on eBay alone has generated over $300,000 in revenue in less than two weeks. So how do you create something remarkable? Develop your plan – Work out how to target the innovators in your target market. If you get them talking, they will do the hard work for you! Creating something remarkable is not about creating something everyone is talking about. It’s about creating something that a small, dedicated group of followers are raving about.